For the third consecutive year, Waterloo and London will meet with the Alliance championship up for grabs. With Waterloo having won both of those meetings, and the past three Alliance titles, the Jr. Knights will look to conquer the reigning champion with arguably the best team currently in the province and possibly the best team to wear the Jr. Knights jerseys. London has cruised their way to the championship series. London powered their way past Sun County in the opening round and then had very little trouble sweeping away an incredibly talented Cambridge team in the second round. London has been led by some familiar faces through their seven postseason games with top OHL Draft prospect Ryan Suzuki leading the way with 18 points while talented winger Aidan Prueter has eight goals and 16 points. The London Jr. Knights cruised into the semi-finals by further cementing their offensive prowess against the leagues best goaltender. Cambridge also swept their way into the final four in a physical affair that featured a home away from home game. The obvious question heading into this 8 point series is whether the Hawks defense and stellar goaltending can last a full 50 minutes against London’s powerhouse forwards. London, who still own top spot in the OHL Cup rankings, made a definite statement in their first round series with the Sun County Panthers, outscoring them 17-3 through the three game series. The Jr. Knights were lead by a few familiar faces as Ryan Suzuki (4G, 5A), Aidan Preuter (2G, 6A) and Brett Budgell (2G, 5A) led the way offensively. The offense was spread out though with London having the top five scorers during the postseason thus far. First off, I’d like to give a big thumbs up to the organizers from the Huron-Perth association and those working at the Pyramid complex for setting up a fantastic first day of the weekend. The home baked treats were an added bonus this year. Secondly, the net at this arena are atrocious. I have never in all my years involved in hockey ever seen the nets come off its pegs as often as I did today, and we’re only one day into the event. Hopefully something can be figured out overnight to save us from having an extra 10 stoppages per game. Now over to the actual games being played. Day one saw a couple of close games and a couple of blowouts. The close games had the drama while the blowouts showcased some big games for the forwards. As I am only one person, not every game could be viewed in its entirety, but I was able to catch at least a chunk of every game today. The Elgin-Middlesex Chiefs picked up their 2nd win of the season in what could be described as an upset, 3-2 over the Cambridge Hawks. The Hawks thought they were headed for a tie after Jagger O’Toole tied the game with just over a minute remaining. But the Chiefs stormed right back and Hunter Monkhouse banged home a rebound to put the Chiefs back up for good with 26 seconds remaining. Coming up tomorrow afternoon is arguably my favourite weekend of the hockey schedule, the Alliance Minor Midget Showcase tournament. It’s always great to have all of the teams from the league in one building and able to showcase their talents for people around the province to see. Teams people may see once or twice a year are exposed to a wider audience. The event, which is once again hosted by the Huron-Perth Lakers in St. Mary’s, Ontario, is full of great team matchups and interesting angles from an observers perspective. I will personally be in attendance for all of the Showcase, which also gives me the hard task of deciding which games to view as many run concurrently with others. For those not fully aware of the schedule, here is what the weekend looks like. Lots of really great matchups on paper throughout the schedule. While the showcase isn’t the bench mark for how teams will do this season, it does give teams the chance to excel and build some momentum while also risking a tough weekend lingering on for some time. With that said, I do have five story lines, players and teams that I am most looking forward to checking out. This isn’t all I’m excited for, but more what intrigues me heading into the weekend. Andrew MacLean – By all accounts, MacLean was stellar in net for the Jr. Sting when they fell to Waterloo over the weekend. He also played strong in goal for Lambton during their play at the Titans tournament. It will be interesting to see if MacLean can vault himself into the conversation for top goalie in the Alliance alongside AIdan Petrie and Cy Martin. Sun County Panthers – I have had the opportunity to see lots of Panthers action early in the season. The team played very well at the Titans tournament, but lost both their season opening games, albeit against tough competition in Cambridge and Waterloo. The Panthers have a decent schedule this weekend and it would be a big boost to the club to come out on a good streak. 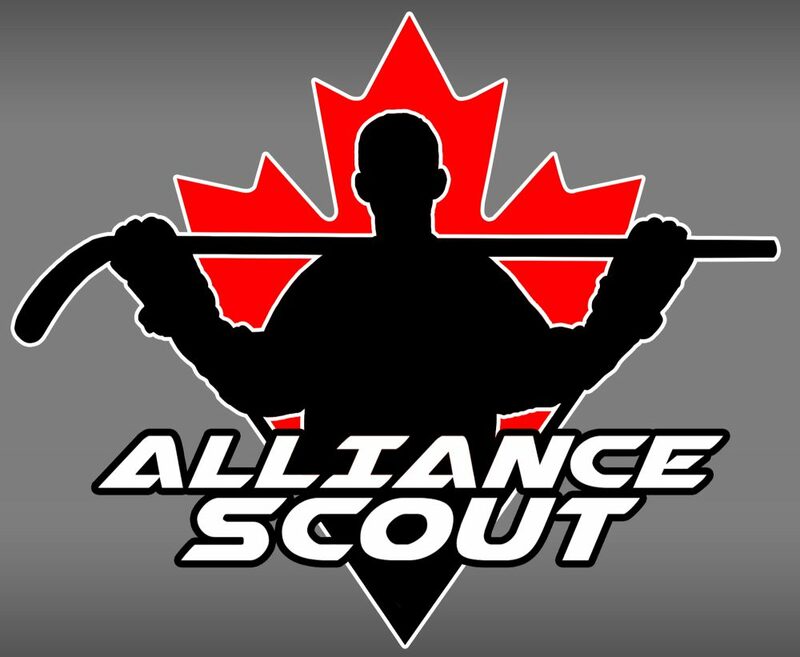 Tyler Tulio – Tulio, along with Zane Dalpe, are the lone players in the Alliance born in 2002. Tulio was very impressive in viewings at Bantam but the size of players at Minor Midget is a big difference. Very curious if he will be able to dictate play as well as he did a year ago. London vs Waterloo – A rematch of both the Bantam and Minor Midget championship from a year ago, the Jr. Knights and Wolves always have nail biting games. London had the advantage at bantam last season, but a new look Waterloo squad are hopeful the new additions will put them over the top. Jacob Bloomfield – Finally, a player whose bantam play always left me waiting for more, Bloomfield has continued to be a force in the 99ers lineup. One of the top scorers in the Alliance at the Titans tournament, Bloomfield is a player all those in attendance will need to keep their eyes on. Those are a few of the reason why I’m excited for this coming weekend. With that said, let’s hear from you. After two consecutive season saw the London Jr. Knights Minor Midget team lose out in the Alliance championship to Waterloo, this year’s club could be the one to finally lead them to the title with a roster loaded with talent. It was nearly a clean run through the season last year for the 2000 born London Jr. Knights. Despite not playing a single season game prior to the Alliance Showcase, the Jr. Knights got off to a torrid start and once they claimed first place from the Huron-Perth Lakers, they ran the table at the top with the exception of a few days behind the Waterloo Wolves. London was loaded on offense with multiple weapons. The likes of Eric Guest, Joel Mazzilli and Kyle Fisher were just a few of the names that populated the score sheet. Even with the offense, London came up just short, losing 3-2 in the winner-take-all championship game in Waterloo.